The Creative Media Awards didn’t feel like a competition, but a celebration of our craft. We appreciate your support of the industry's great work over the years. Winning the Appy Award in a new segment of the advertising industry was a huge boost to our credibility in the marketplace. 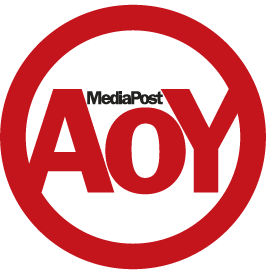 It introduced our entire executive staff to a wealth of opportunities, both within the MediaPost ecosystem and beyond. MediaPost is doing a fantastic job recognizing the companies & brands who understand the value of staying hyper-connected with their consumers in the right ways. Always a blast seeing old friends and making new ones at the Media Magazine's Agency of the Year Award Reception. The OMMA's Agency of the Year Awards Reception has morphed into a need-to-know 'Who's Who' in media and marketing. Every year, an innovative and talented lineup gets to shine in the spotlight. "The Digital Out-of-Home Awards? Only the best of the best are there - wouldn't miss it!" Entry Deadline: May 15, 2019, 8pm EST. Enter Now! 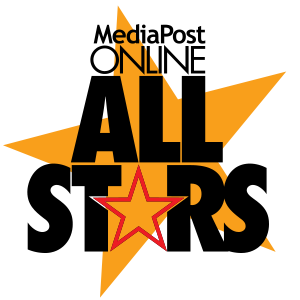 MediaPost's Online All Stars celebrate the stars in the online media, advertising and marketing industry, who have pushed the business to new levels of excellence through their outstanding achievements and thought leadership. Finalists announced! The awards recognize the best work in out-of-home venues, innovative work by industry vertical and the the best uses of the platforms themselves.